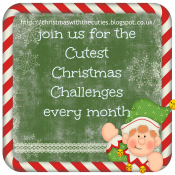 They certainly are a trio of cuties Pat, perfect for our Allsorts theme this week, many thanks for joining in. Congrats on the new DT Pat! This card is a perfect start, lovely design and it's definitely cute! Congrats on your new DT Pat.. love your gorgeous cute card. This is such a cute christmas card Pat, i love the image. 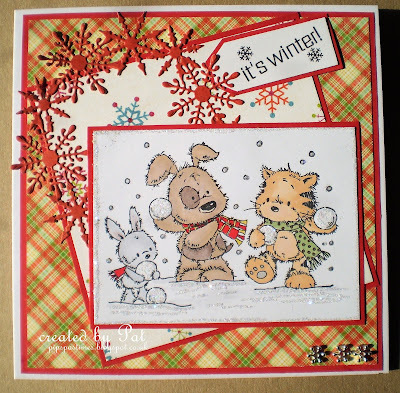 A fun card Pat, such an adorable image and lovely traditional colours. It's great to be on the team with you. Love these little cuties and your design is wonderful Pat. I love your card and these sweet babies. A snow ball fight it will be -- SPLAT!!!! 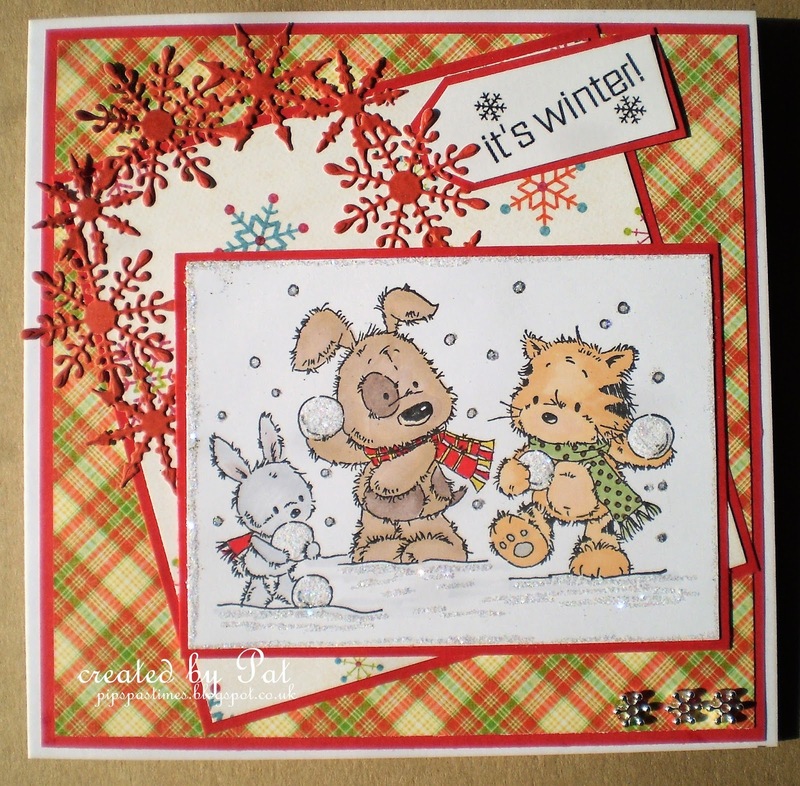 I love these little cuties having fun in the snow - congratulations on your new DT, Pat. Have a good evening. These little guys are so cute! They really are having fun. Love the die cut snowflake wreath, so pretty. Thanks so much for playing along with 52CCT this week! Deborah, DT. Ganz super gemacht. Große Klasse! Danke für die Teilnahme bei den Sweet Stampers. love this! Thanks for joining us at Craft Rocket Challenges. Good luck.